Doctors often tell their patients to follow a strict medical diet to help treat existing conditions. Two well-known diets are the Dietary Approaches to Stop Hypertension (DASH) and the Joslin Diabetes Foundation diet. 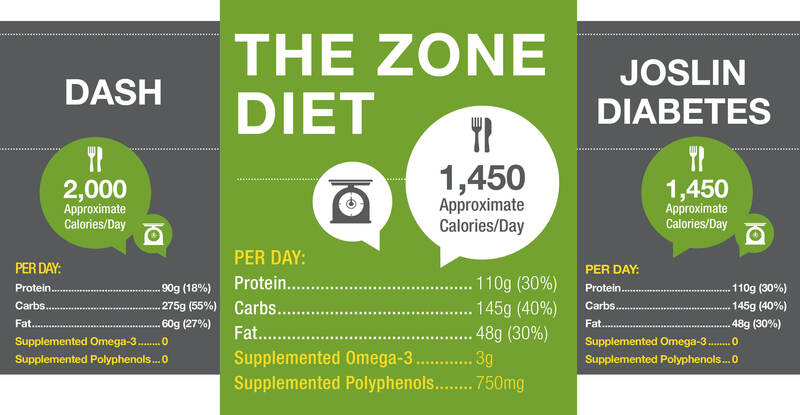 Here we compare both of these medically validated dietary programs to The Zone Diet®. 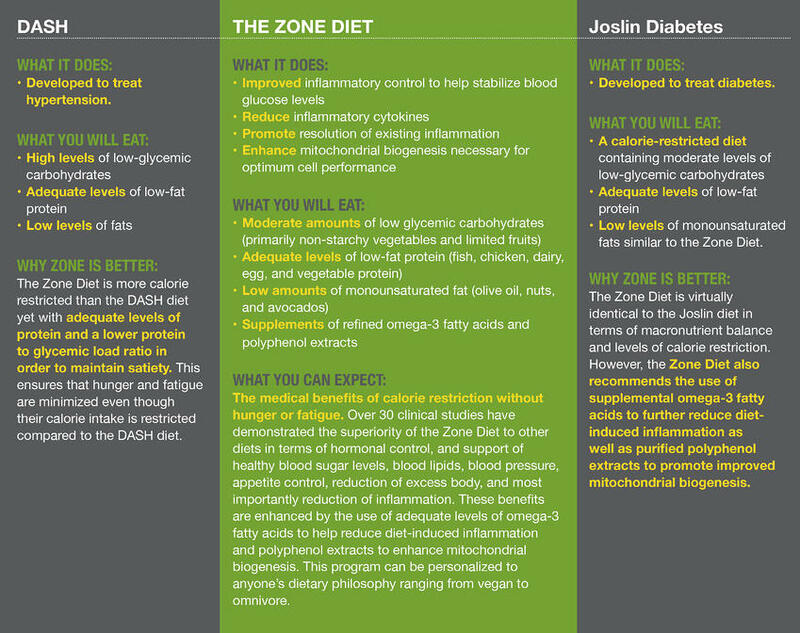 Both The Zone Diet and the Joslin dietary recommendations have approximately the same levels of daily protein and fat intake as the DASH diet, but nearly 50% fewer carbohydrates. 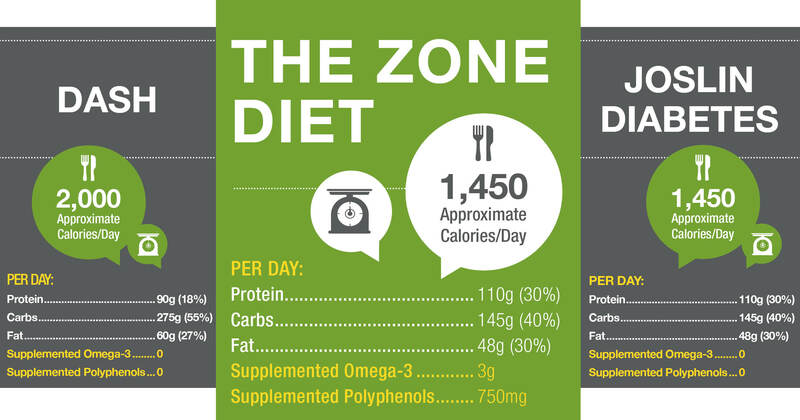 The difference between The Zone Diet and the other dietary recommendations is the additional supplementation with omega-3 fatty acids and polyphenols extracts to further reduce diet-induced inflammation and enhance mitochondrial biogenesis respectively.